Anna Swan, born in 1846, stood around 8 feet tall and became a celebrity because of it. She toured Canada, America and Europe, before marrying a man who was also 8 feet tall and settling on a farm in Ohio. She plays a major role in my upcoming novel The Thunder of Giants. But who exactly was she? Anna Swan is only 1/3 of The Thunder of Giants; the rest of the book focuses on Andorra Kelsey, the 8 foot tall woman hired to play Anna in a film. I didn't set out to write a conventional piece of biographical fiction; I was more interested in finding a way to make history and fiction intertwine. Anna Swan lived in that world - many of the facts we have about her, including her magnificent height, are questionable because she lived in a world that dealt with hyperbole and exaggeration. Whenever history and fiction collide, we end up with myth. Myths differ from fairy tales. Fairy tales don't pretend to be real but myths are either based on reality or have some effect on the real world. No one is basing a religion around Cinderella; but the ancient Greeks built temples to Zues. So while Anna Swan is a fascinating figure, I was more interested in exploring her effect on the world decades after her death. "She Was Probably the Tallest Girl In the World...."
About six years ago I went through a phase where I read all the books that had been turned into musicals. I began with Gregory Maguire's Wicked, went straight through Leroux's The Phantom of the Opera, made a left at Dubose Heyward's Porgy, went a few miles with Hugo's Les Miserables, and finally ended up in the middle of nowhere with a copy of Struggles and Triumphs, the autobiography of 19th century American showman P.T. Barnum. Struggles and Triumphs wasn't the official source material for the Cy Coleman-Michael Stewart musical Barnum, but the no doubt mined it for material. I thought the book might be a bit of a slog but it was surprisingly engaging. Barnum was famous for his various schemes to amaze, astonish and occasionally humbug his audiences with Siamese twins, dwarves, wolfboys, living skeletons and other human curiosities. I settled in for an intriguing portrait of this "first purveyor of mass entertainment" (as the editors at Penguin Classics called him), already planning to move on to E.L. Doctorow's Ragtime when I was done. And then, on Page 283, everything changed. A single sentence had the same effect as a flat tire on a road trip; it was something which forced me to stop for breath. Some years ago, following a rather bad break-up, I stumbled upon The Accidental Tourist in the dollar bin of a used bookstore. I don't know why I picked it up - I had never read Anne Tyler before and had never seen the movie. But it might have had something to do with these lines from the start of Chapter Two: "After his wife left him, Macon had thought the house would seem larger," writes Tyler. "Instead he felt more crowded. The windows shrank. The ceilings lowered. There was something insistent about the furniture, as if it were pressing in on him." The story of Macon Leary, the abandoned husband, naturally spoke to me - I too felt I had been abandoned - but before long Tyler's whimiscal plot, charming cast of characters and unintrusive prose meant as much to be as the question of whether Macon Leary would return to the woman who had left him or move forward with the eccentric Muriel Pritchitt. You won't find Robert Harris sitting in that deadly of all sections known as Literary Fiction, at least not in America. If his books show up anywhere, it's either in the category of General Fiction or that risky sub-genre known as "Thriller". You can find him in the airports and pharmacies if not proudly displayed on the bestseller's table at your local book emporium. For this reason, highbrow literary know-it-alls generally refer to him as their guilty pleasure - you won't find The Fear Index at your local book club, where everyone is going gaga over the sequel to Wolf Hall. And you probably won't find some English grad student doing a thesis about the function of metaphor in Fatherland. But this is one highbrow literary know-it-all who's stepping out of the closet. I'm making this plea to book clubs and grad students everywhere: Robert Harris is a pleasure and there's no need to feel any guilt. Samuel French. 1975 / 1996. I'm obsessed with a thirty-five year old play and I don't know why. Bernard Slade's 1975 Broadway success has been wildly successful, garnering international productions, a movie with Alan Alda and Ellen Burstyn, a musical and a sequel. I have no doubt it's Slade's "annuity play", meaning he probably make a comfortable living off the royalties - the show is a staple of community theatre and summer stock. And now, after catching the latest production here in Montreal, the play won't stop its ceaseless march through my brain. Long out of print (even the reprint is out of print), Vicki Baum's Grand Hotel is mostly forgotten except to librarians, famed only to lovers of old films (two versions were made) and musicals (a Tommy Tune directed version swept Broadway in 1989). The novel itself seems to have been swept from our cultural memory and this is unfortunate: it remains a tightly conceived story of six disparate characters and the way their fates intertwine over the course of two days at the eponymous hotel. Both story and prose (translated by Basil Creighton) survive the ages and in some cases remain surprisingly relevant - most especially in the story of Preysing, the manager of a company, who is faced with the decision of whether or not to succumb to dishonest business practices just to make a buck. Da Capo Press, 201 pages. 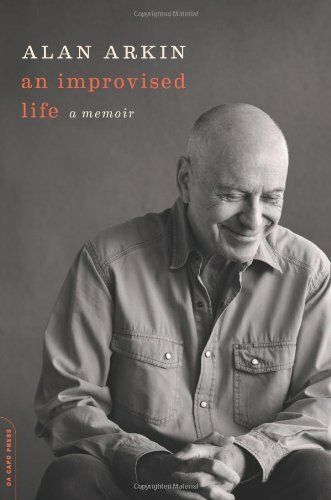 Alan Arkin, if you believe his father, knew he was going to be an actor at the age of five, a fact which would seem to belie the title of his book: despite his claims, there's the distinct sense that his professional life went more or less according to plan. An award-winning actor and director, Arkin is best known today for playing old curmudgeons, such as in Little Miss Sunshine and The Change-Up (he also has a cameo in The Muppets). But he's appeared in over 80 films and has a theatrical track record that most actors would with envy. No doubt about it, Arkin's life doesn't truly seemed to have been improvised at all: he made a plan when he was five and stuck to it. Or at least that's how it seems in An Improvised Life, which skips over almost all of Arkin's personal struggles and focuses entirely on his philosophies on acting and a life in the arts. It's an enjoyable read if you're an artist; anyone else, I suspect, will find it (amazingly) lacks drama. A book that should be coming soon to a TV screen near you, Priceless is a fearless memoir that is begging for adaptation - and authors Robert Wittman and John Shiffman have even provided writers with at least twelve episodes for the first season. 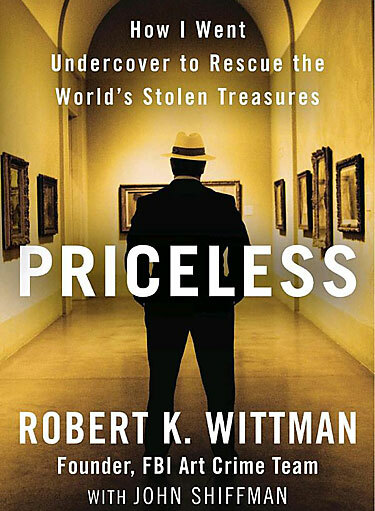 The story of the founder of the FBI Art Crime Team, Priceless succeeds as both crime drama and personal memoir, with Wittman emerging as the classic hero driven by a need for personal redemption. It also serves as a passionate celebration of art and its place in human culture. Excelsior Editions, 2009. 195 pages. 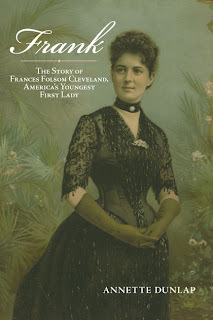 More an extended encyclopedia entry then a comprehensive biography, Annette Dunlap's survey of the life of America's youngest first lady sketches the life of an intriguing figure without ever going too far below the surface. Frances "Frank" Cleveland is a barely remembered First Lady, overshadowed by the tragic glamor of Jacqueline Kennedy, the social activism of Eleanor Roosevelt and even the lunacy of Mary Todd Lincoln. But Frank married Cleveland in more ways then one and as his second term was considered a failure best forgotten, so too has Frank beenexiled from thought. Some historians have tried to rehabilitate Cleveland's reputation recently, so its not surprising that Frank would be resurrected as well. Dunlap herself clearly hopes to champion Frank but her polite narrative is far too brief to ever allow the reader a chance to form their own opinion. Random House, New York, 2011. pp 209. Given that Jim Lehrer has had a front row seat to eleven U.S. presidential debates, you wouldn't be wrong to expect more from Tension City, a slim volume that works as an appetizer when it should have been a meal. The metaphor is apt since, like a good croquette, Tension City is easy to digest and possible to finish in a single sitting. As a man who had a worm's eye view of some significant political moments, Lehrer had the opportunity to supply some deft political analysis, both on the art of debating and the evolution of the televised debate from political confrontation to its current form as orchestrated entertainment. Instead, Lehrer seems content to supply anecdotes and only a few juicy facts as he gives us a whirlwind tour across fifty years of debating history. Palgrave MacMillian. New York, 2011. 200 pp. Theatre practitioners accustomed to dramatic analysis of Shakespeare’s work – what does Macbeth want? how to stage the moving of Birnam Wood? – have a fascinating new viewpoint in Evelyn Tribble’s Cognition in the Globe, one of the more recent additions to Palgrave’s series Cognitive Studies in Literature and Performance. In concerning herself with the question of how early theatre companies carried the mnemonic load associated with performing several new plays a month, Tribble has created a treatise that sheds light on the historic even as it provides new insights to those producing theatre today. by Candice Millard. Doubleday, 340 pages. 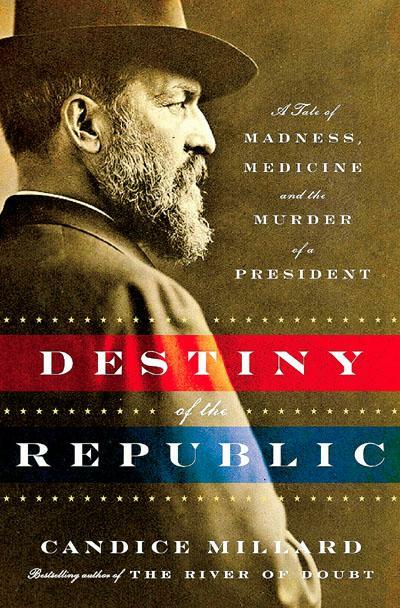 At once an engaging piece of Americana and an exploration of the frightening world of 19th century medicine, Candice Millard's re-telling of the assassination of President James Garfield explores the story from more than a few surprising angles. Others have chartered this course before (see Kenneth Ackerman's 2004's Dark Horse, discussed here) but Millard stakes her claim on the subject by framing her narrative around several characters whose place in the story has heretofore been as members of the supporting cast. !! This review contains spoilers !! Although one has to credit Gregory Maguire for his imagination, devotion and skill - his brains, heart and courage, as it were - it would be a tough job to recommend Out of Oz to anyone but the most devoted fans. The book is the final volume of a massive reworking of the Oz mythology dubbed The Wicked Years, a long, complicated saga about war, politics and love that have earned Maguire comparisons to J.R.R. Tolkien, Robert Jordan and other creators of the sprawling fantasia. 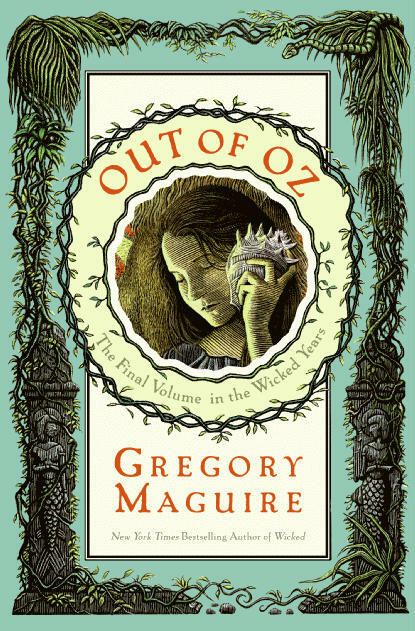 But Out of Oz, more than any of the three books that came before it, seems to strain under Maguire's literary efforts. Everything is a little too labored, especially the narrative, which is a meandering timeline of events that spans the years but leaves the characters themselves lost in its wake. The government of the Soviet Union (1922 - 1991) produced an army of disasters in their day, but no one can ever fault them for giving us Sergei Dovlatov. Born just after the Nazis invaded Mother Russia, Dovltaov would survive the war and go on to be a soldier, prison guard and journalist before escaping to the United States. Anticipating "creative non-fiction" years before the term was ever invented, Dovlatov wrote in a terse, comical style in the voice of a narrator created in his own image. The Suitcase is no exception. 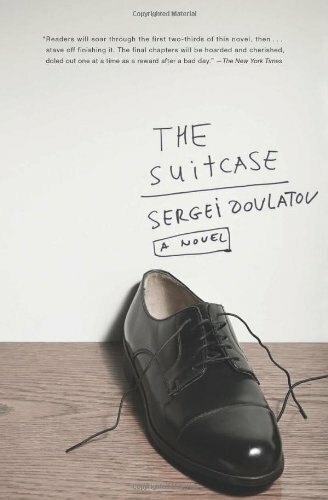 A wry collection of short stories about a Russian named Sergei - who was once a prison guard, worked as a journalist and emigrated to the States - The Suitcase merrily blurs the genres to create a work that is entirely unique. Sometime around January 1, 2011, I stumbled upon one of those sites where readers had challenged each other to read a hundred books throughout the year. It seemed ridiculously easy at the time, but in fact I almost didn't make it. This has everything to do with my penchant for picking up fat biographies and even fatter books on American History. Early on, I knew I'd have to set some arbitrary ground rules: graphic novels would be acceptable but cookbooks were a sin. So while I can report it wasn't all heavy tomes whose weight broke my Kindle's back, I have to admit I only finished the last book on December 30 at around four o'clock. You can see the full list here. This blog is no longer being monitored. It was created by Joel Fishbane, who is the author of "The Thunder of Giants", now available at sensible bookstores everywhere. He is a novelist, playwright, actor, screenwriter, former producer, amateur boxer, occasional clarinet player and general man about town. He lives in Toronto and almost always wears a hat. For more information, visit www.joelfishbane.com You can find him on Facebook, Twitter, Goodreads, and Instagram.